As you recover from stuffing yourself silly and fighting the Black Friday crowds, it’s time to start planning your Christmas activities in Hendricks County. There are several annual holiday events and traditions ahead with many of them happening the weekend of Dec. 6-8. I’ve compiled a holiday preview of some of the Christmas events you can enjoy throughout Hendricks County. Rural Routes to Main Street Holiday Open House – The holiday season is a great time to visit the art studios, galleries and other destinations along this self-directed driving tour. Meet the artists as you buy unique gifts for everyone on your Christmas list. Many of the stops along the tour will be hosting special activities during the open house primarily on Dec. 7. Holiday Fest and Cookie Walk - Leave the holiday baking to someone else. 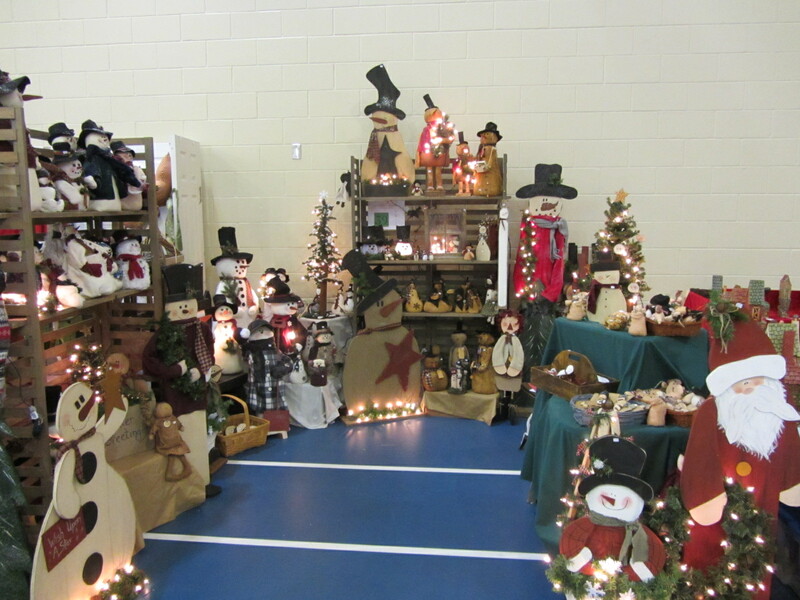 Attend the Holiday Fest and Cookie Walk at the Hendricks County 4-H Fairgrounds and Conference Complex (1900 E Main St., Danville) from 9 a.m.-3 p.m., Dec. 6. As you shop from craft booths and enjoy entertainment, fill a box with a large selection of homemade holiday cookies. Plainfield Tri Kappa Gingerbread Christmas – This is my favorite craft show. I look forward to it every year. This show is juried and all items for sell are required to be handcrafted. This year’s show features over 120 booths. Insider Tip: This show draws big crowds first thing in the morning. Be patient when looking for a parking spot. The show is 9 a.m.-3 p.m., Dec. 7 at Plainfield High School, 1 Red Pride Drive, Plainfield. Admission is $3 and goes to charity. Brownsburg Christmas Under the Stars – On December 7, help welcome Christmas to Brownsburg. The evening kicks off at 6 p.m. with a Christmas parade. 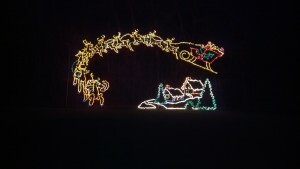 Following the parade, enjoy an animated light display at the Brownsburg Town Hall. Santa will be inside the Town Hall for pictures. Winterland Light Show - A Christmas season is not complete without a drive through Danville’s Winterland Light Show. Lighted Christmas displays are placed throughout Ellis Park (600 E. Main, Danville). New this year, a 30-foot tall Christmas tree is synchronized to lights and music. The light show is Sundays-Thursdays from 6-9 p.m. and Fridays and Saturdays from 6-10 p.m. until Dec. 24. Insider Tip: Click here for a coupon for $3 off gate admission. I hope you enjoy Hendricks County during the holidays as much as I do!